Runic research at Uppsala University has received a donation of USD 15,000 from Swedish-American Myrna G. Smith. Part of the gift is a new contribution to external funding for a chair in runology at Uppsala. 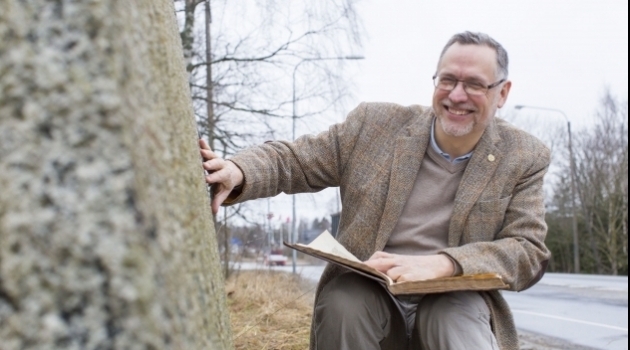 Part is a contribution to Professor Henrik Williams’s research on runes. Swedish-American Myrna G. Smith is from Minnesota, but her roots lie in Skåne. She is a member of the board of the American Association for Runic Studies, an organisation in the United States founded to promote education and research on runes and runestones in the United States and Europe. 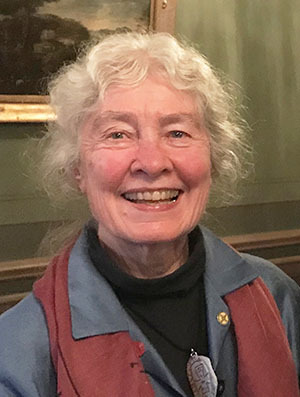 Myrna Smith has worked for many years for the establishment of a chair in runology at Uppsala University, and has previously bequeathed USD 1 million to this end. “Largely due to the work of distinguished runologist Professor Henrik Williams, and his colleagues, Uppsala University has become the worldwide leader in runic research. As a Swedish-American, I support this work so that runic research will continue to evolve and flourish well into the foreseeable future,” says Myrna G. Smith. Prior to retiring recently, Myrna B. Smith was director of faculty research and doctoral dissertation fellowships at the University of Minnesota. "That gave me a deep appreciation for the long-term importance of basic research," she explains. Runologist Henrik Williams is Professor of Scandinavian Languages at Uppsala University. His research combines the established research tradition with modern linguistics. Apart from interpreting runic inscriptions, he seeks to add a social dimension to our understanding of the words. How did people live and think a thousand years ago? “We try to extract a message from runic texts that appear meagre at first sight. Runes intrigue us and entice us to try to understand the people and society of that time – and perhaps they can also help us to see our own time from another perspective,” says Henrik Williams. There is great interest in runes and runic research in the United States. Many Swedish-Americans are curious about their history. There are nearly 7,000 known runestones and other runic inscriptions in the world, including some 100 in the United States. None of the runic objects in the United States are from the Viking Age; they were all engraved later, after an interest in runes arose in the 19th century. Old and recent finds await interpretation to reveal more about our shared history. The American Association for Runic Studies (AARS) was founded in Minnesota in 2006 to promote education and research on runes in Europe and North America. The President is Loraine Jensen, an alumna of the University of Minnesota. AARS came into being as a result of the great interest in runes and one of its goals is to establish an endowed chair in runology at Uppsala University. AARS has organised several lecture tours in the United States to spread knowledge about runes, as well as study visits, particularly to Uppland in Sweden, to see runestones in their historical settings and to learn more about runic research.